Favorite cookie for coffee or tea? I enjoy a cookie with my coffee from time to time. My current favorite is an Italian anise cookie. They get better after being allowed to ripen for a few days. They keep well, and your kids won't eat them all up before you've had one. If you don't care for anise, you can use lemon extract in the glaze instead. Anise cookies are delicious and, as you have said Todd, are a great accompaniment to a cup of coffee or tea. 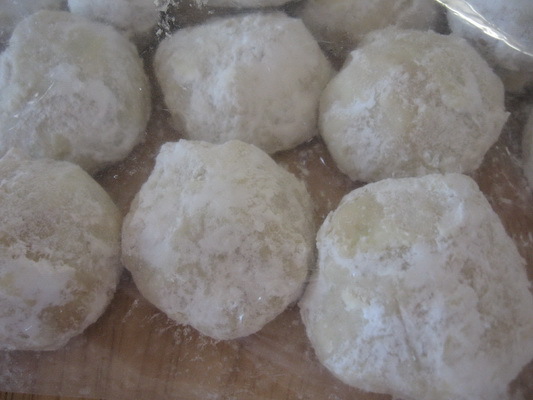 My favorite, with a mug of java, is the little powdered sugared Russian tea cakes, with pecans and flavored with almond and vanilla. 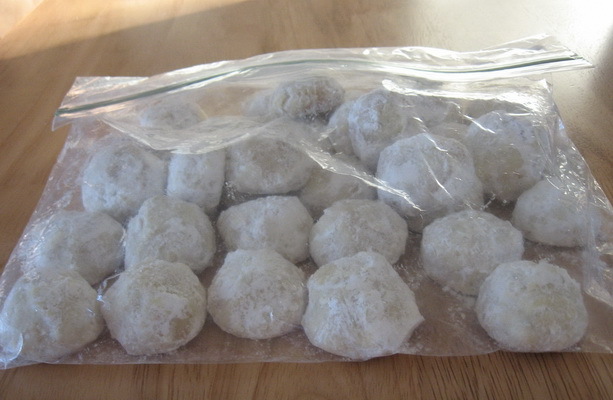 (12-01-2013, 04:00 PM)churchilllafemme Wrote: My favorite, with a mug of java, is the little powdered sugared Russian tea cakes, with pecans and flavored with almond and vanilla. Mmmm, great thought. I went through a phase in the past of requiring a couple almond biscotti every workday morning. Biscotti is one of my favourites, but I don't drink coffee! 11:20pm,NY time and enjoying a delicious cup of Guatemalan Huehuetenango coffee...Delicious! (12-01-2013, 08:24 PM)LORDBISHOP Wrote: 11:20pm,NY time and enjoying a delicious cup of Guatemalan Huehuetenango coffee...Delicious! biscotti and espresso, every morning at about 11am! Yesterday was a baking day. (12-03-2013, 10:07 AM)churchilllafemme Wrote: Yesterday was a baking day. Is it too late to PM my US mail address. My anise ones are almost gone and those look fantastic. I +1 the biscotti, too; almond, anise, orange, chocolate... I'm not picky. John, those look delicious! Years ago, when I lived in Toledo, Ohio, I used to bake a similar cookie. The only "problem" was I had no one to share them with and I didn't want them to go stale. Right, Freddy, there is always that valid staleness concern. My wife and I have 4 of them each in the evening with our DVD movie, so they should last about a week or less. You say you're a former Buckeye but you list your location as Zanesville. The one time I was in Zanesville you just know I had to walk across all three branches of the Y-bridge. (12-05-2013, 03:12 PM)freddy Wrote: You say you're a former Buckeye but you list your location as Zanesville. The one time I was in Zanesville you just know I had to walk across all three branches of the Y-bridge. Oops, I need to update my profile. I've been in Pittsburgh for just over a year. I left TSN about the time I found out I was losing my job, did the job hunt, found and got better job, split life in two places while the kids finished the school year, moved the family here... Now I feel like I can breathe again and be a little more sociable. Oh, yes, the Y bridge. I hope you also had a chance to eat at Tom's Ice Cream, and picked up some pottery. When we (wife and kids) were in Toledo, we hit the art museum, Tony Packo's, and a Mudhens game. The Art Museum is incredible, isn't it? And, of course, Tony Packos is an institution. Would you believe that I have never been to a Mud Hens game but it is truly on my bucket list. (This from someone who isn't crazy about sports!) And, yes, had the ice cream but, no, didn't take home any pottery. I was already living in San Diego and was back in Toledo visiting friends at the time. Ironically, the same time I was in Zanesville, I had also visited Pittsburgh. A great city. I hope your family and you enjoy living there.